Bored by drill-and-kill geometry questions in your school textbook? Do you always feel ill-equipped to tackle those tricky questions in geometry? Not only you’ll be equipped with the problem-solving strategies and heuristics in solving non-routine geometry questions, but you’ll also be enriched with no fewer than 20 items of recreational geometry to enhance your appreciation with many hours of aha! moments. * problem solvers longing to be challenged by geometry questions not normally discussed in the normal mathematics classroom. To buy the e-book version of Geometrical Quickies & Trickies, click HERE for $9.99 ONLY! You can buy the e-book version of Geometrical Quickies & Trickies from: ClickBank (click HERE) for $9.99 ONLY! 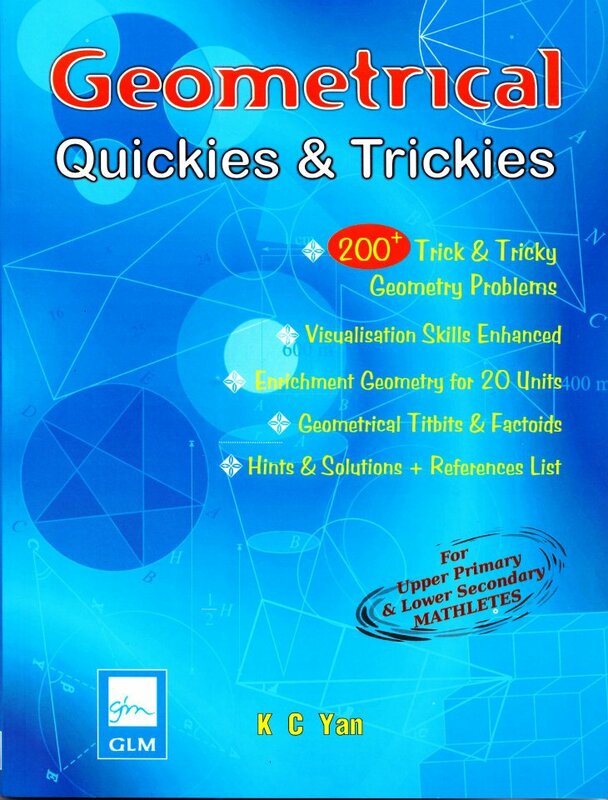 On Amazon.com, a printed copy of Geometrical Quickies & Trickies is priced at US$12.90. More e-books are on the way—look out for them!